At a time when America's founding principles are being debated as never before, Russell Shorto looks back to the era in which those principles were forged. 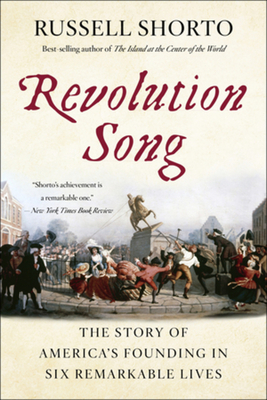 In Revolution Song, Shorto weaves the lives of six people into a seamless narrative that casts fresh light on the range of experience in colonial America on the cusp of revolution. The result is a brilliant defense of American values with a compelling message: the American Revolution is still being fought today, and its ideals are worth defending.